A musical written by Sheffield music legend Richard Hawley about Park Hill will premiere at the Crucible in 2019, Sheffield Theatres has announced. Standing at Sky’s Edge is just one of many exciting new shows coming to Sheffield Theatres throughout 2018 and into 2019. New plays, sensational musicals, traditional dramas and shows that put Sheffield centre stage are also coming up. Following the success of Everybody’s Talking About Jamie, Sheffield Theatres’ Artistic Director and The Feeling’s Dan Gillespie Sells have teamed up again for a fresh production of A Midsummer Night’s Dream. This tale of desperate lovers, squabbling supernaturals and a hapless troupe of amateur actors is Shakespeare’s most celebrated comedy and runs from Friday 28 September 2018 – Saturday 20 October 2018. This year’s Crucible Christmas musical will be Kiss Me, Kate, running from Friday 7 December 2018 – Saturday 12 January 2019. From the golden age of musicals, this riotous, romantic musical comedy follows feuding divorcees Fred and Lilli as they star in The Taming of the Shrew, but as the curtain rises, gambling, gangsters and mistaken identity conspire to create chaos. Also running over Christmas is Peter Pan, a co-production with Evolution Pantomimes running in the Lyceum Theatre from Friday 7 December 2018 – Sunday 6 January 2019 and will once again star Damian Williams, returning for his 11th year as the Dame. The first show of the year in the Studio will be Githa Sowerby’s Rutherford and Son. Set in the Industrial North in 1912, this is a story about how the women in the family come out from under Rutherford’s shadow and prove themselves equally worthy of inheriting his legacy and will run from Friday 8 February – Saturday 23 February 2019. Finally, Robert Hastie will close the season by directing the world première of Standing at the Sky’s Edge. A brand new musical written by Michael Wynne, featuring music and lyrics by Sheffield’s very own Richard Hawley. 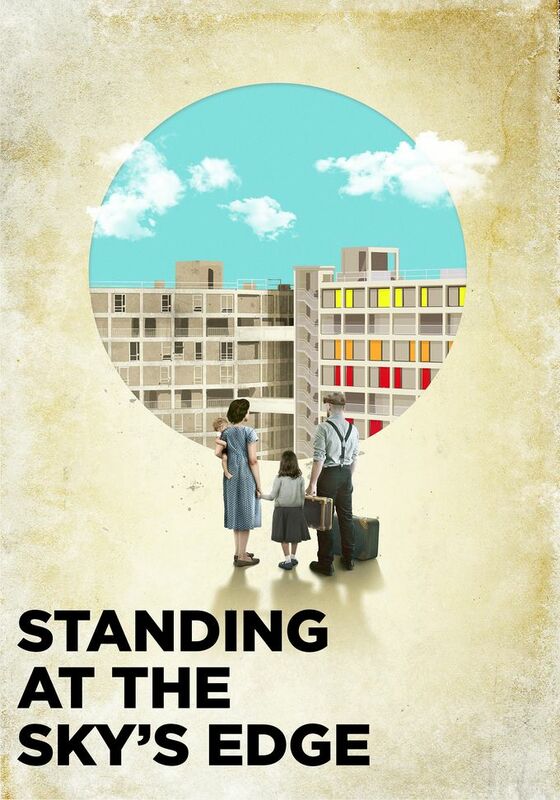 In 1961, the first residents of Park Hill were given the keys to their new homes, and Standing at the Sky’s Edge tells their story over the next 50 years, in a heart-swelling, heart-breaking love song to Sheffield. This will run in the Crucible from Friday 15 March – Saturday 6 April 2019. A second world premiere will take place in the Studio from 13 September – 6 October 2018. Steel is a witty new play by Sheffield playwright Chris Bush and directed by Rebecca Frecknall, which explores the last three decades of women within the Labour party, asking what’s changed and what still must. Later in the year, the world première of Close Quarters – written by Kate Bowen - will run from Thursday 25 October – Saturday 10 November 2018. A co-production between Sheffield Theatres and Out of Joint, Close Quarters is a taut thriller about the first generation of British women in close combat roles and looks at gender politics in the world's most dangerous workplace and will be directed by Out of Joint’s Artistic Director, Kate Wasserberg. The Studio will feature a dynamic programme of Sheffield Theatres shows, collaborations, and touring productions throughout the 2018/19 season. In the Lyceum this season Sheffield Theatres welcomes Ken Dodd, Thriller Live, Flashdance, and Showstopper! – The Improvised Musical comes to Sheffield hot from its acclaimed West End run on Wednesday 25 July. Explore the kaleidoscopic colours of India straight from a sell-out London season in the smash-hit Bollywood musical, Taj Express, or the BAFTA award winning Cilla, telling the story of the late Cilla Black. Audiences can enjoy the iconic tunes featured in Fame Take That’s sensational musical, The Band, and Northern Ballet’s The Three Musketeers, choreographed by David Nixon. Before it heads to the West End, catch The Messiah – starring Hugh Dennis and Lesley Garrett – from Monday 5 – Saturday 10 November. The National Theatre bring a new production of Macbeth by William Shakespeare from Wednesday 21 – Saturday 24 November. Finally, prepare to rock out as the explosive Rock of Ages returns, from Monday 26 November – Saturday 1 December. Tickets for all new season productions will go on sale to Centre Stage Members - who enjoy exclusive discounts and priority booking - on Saturday March 10. General booking will open on Saturday 24 March at 10.00am. Head to the Sheffield Theatres website for tickets.